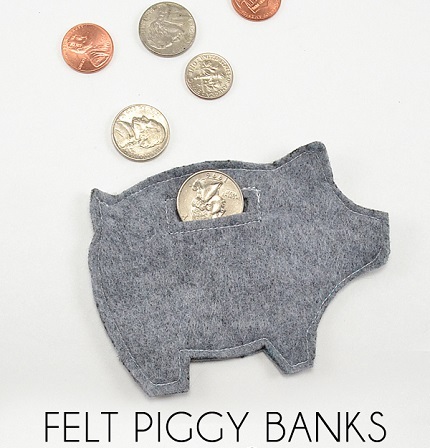 Allison at Dream a Little Bigger shows how you can make a felt version of the classic piggy bank. It’s small enough to drop in your purse to collect loose change. It would also make a cute way to present a cash gift to someone. The best part? No having to break it in order to get your money back out! Get the tute at Dream a Little Bigger. I have a friend who collects pigs. Betcha she doesn’t have one like this…yet.